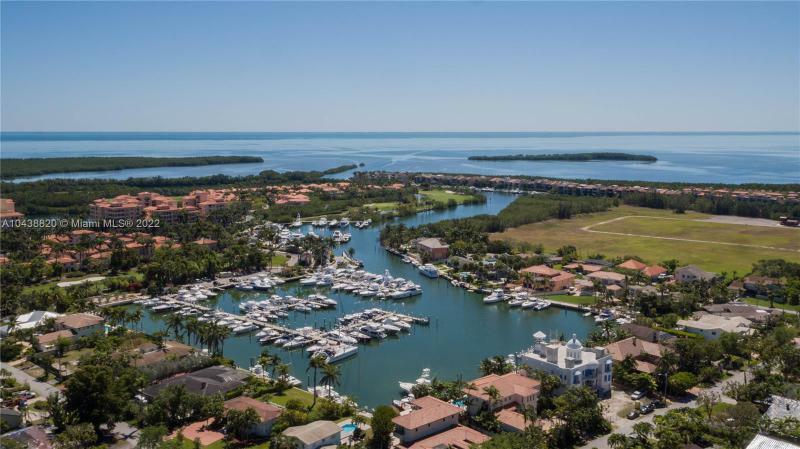 Just minutes to the bay from a private dock - rarely available gorgeous waterfront home with stunning wide views of the deering bay marina and deep water lagoon - 100' sea wall accommodates four 50' boats - no bridges to bay or ocean. 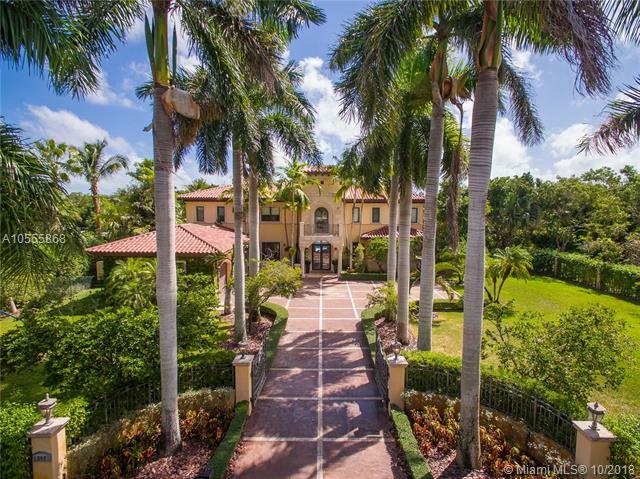 Located in prestigious coral gables gated community of kings bay estates. Features striking interior spaces, several balconies, formal dining, gourmet kitchen with cooking island, soaring ceilings, over-sized rooms, sweeping staircase, first level is a 3300 sf garage for 8 plus exotic or otherwise personal vehicles, elevator from garage to upper level interiors, and a 24/7 recorded nine camera security system incredible for ardent car and boat enthusiast. Sitting on a massive 2. 4 acre corner lot, this completely gated estate features 8,415 sf w 9 bdrms/9. 5 bthrms as well as solar paneling on roof. Front doors open to stunning foyer w 30ft ceilings & large staircase. 1st floor offers marble flooring throughout formal living & dining rooms, as well as office & chefs kitchen w subzero appliances. An entertainers dream, first floor also features family room w bar + full wine cellar below ground. Take staircase or elevator up to 2nd floor, offering 6bdms w updated italian porcelain floors that resemble wood. Backyard boasts open spaces as well as 2 bbqs & heated, saltwater pool. House features 2 addtnl guest suites, 3 cargarage,generator, 4 fireplaces, & 24 security cameras throughout. Property can be divided into 2 separate lots. Estate home situated on the ninth hole of the most beautiful golf course in south florida. It features six (6) bedrooms, seven and a half (7. 5) bathrooms, kitchen with spectacular view, elevator and a huge terrace with pool excellent for entertaining. Whoever said you cant buy happiness, never owned this house. This private estate, on one of the prettiest roads in the united states, proudly sits behind very private gates. Once you enter the compound, a quiet sanctuary unfolds. This exquisite estate is perfection. Lets talk more about whats inside because the list of features is impressive. There is a theater, wine cellar, library, fireplace, & a luxurious kitchen that is the heart of the home. Outdoors, you can luxuriate by a salt water pool, jump in the jacuzzi, shoot hoops on the basketball court, or bbq at your summer kitchen. A lavish master bedroom as well as other en-suite bedrooms provide everyone with their own sanctuary. Of course, there is a generator & impact glass for easy living. A very special home. 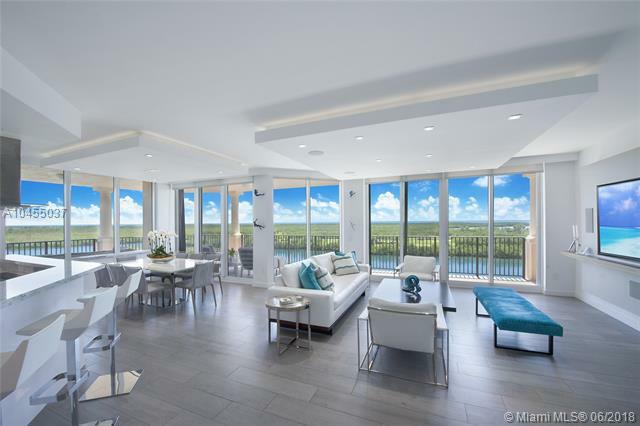 With breath-taking views of sparkling biscayne bay and the magic citys skyline, this exquisitely presented home in the sky offers the opportunity for one to be transported to the grandeur of europes finest living quarters, all the while enjoying the sunshine and lifestyle of cosmopolitan miami. 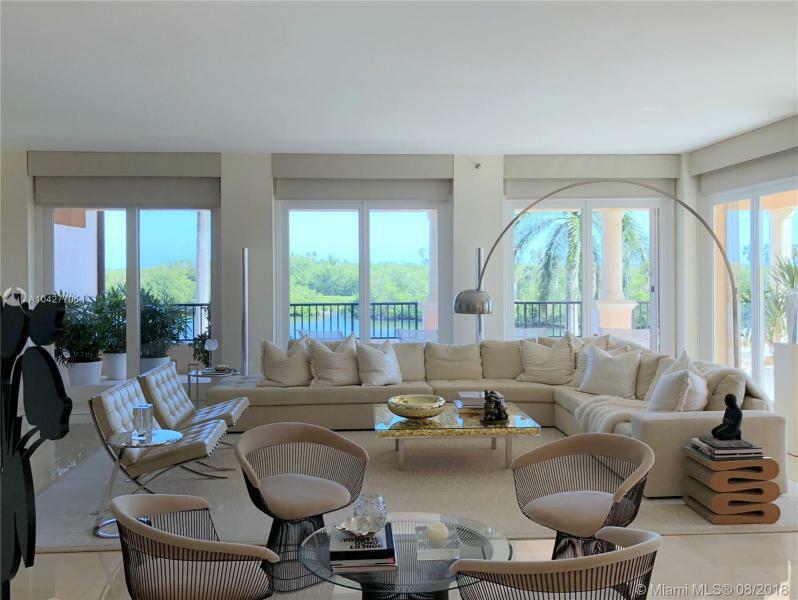 Spectacular master bedroom suite with bay views, gracious living room which is adjacent to formal dining with access to the patios for al fresco dining. This amazing double unit, high in the sky, offers the ultimate opportunity to capture a lifestyle available to few. Included with the unit are three parking spaces, two golf cart spaces and a double unit storage area. The deering bay club offers access to tennis, spa, and gourmet dining. Marina slips are available. Welcome to this bright & spacious 5 bed/3. 5 bath palmetto bay home w/over 4000+ sqft of living space. As you drive up to the porte-cochere & walk through the double doors, you will fall in love w/the high volume ceilings in the formal living & fireplace that looks out at the pool, waterfall & yard. Master bed & bath are upstairs & features a covered terrace where you can enjoy the night stars & sprawling backyard. Other features include walk-in closets, impact windows & doors, custom window treatments, separate laundry room, interior & exterior speaker system, modern kitchen overlooking the covered patio/pool area, private bed & bath for guests/maid, & 3-car garage. This corner lot home is situated on almost 1 acre of land. Come fall in love w/this great for entertainment, executive home.